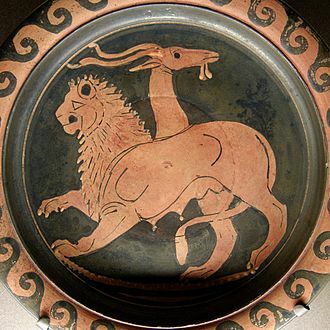 According to Greek mythology the Chimera or "she-goat" was a monstrous, fire-breathing hybrid creature of Lycia in Asia Minor, created by the binding of multiple animal parts to create a singular unnatural creature. As the offspring of Typhon and Echidna, the Chimera ravaged the lands of Lycia at a disastrous pace. Distressed by the destruction of his lands, the king of Lycia, Iobates, ordered a young warrior named Bellerophon to slay the dreaded Chimera, also as a favor to a neighboring king, Proetus. Proteus wanted Bellerophon dead because his wife accused him of ravishing her, and he assumed that the warrior would perish in the attempt to kill the beast. Bellerophon set out on his winged horse, Pegasus, and emerged victorious from his battle, eventually winning not only the hand of Iobates' daughter but also his kingdom. It is this story that led art historians to believe that the Chimera of Arezzo was originally part of a group sculpture that included Bellerophon and Pegasus. Votive offerings for the Gods often depicted mythological stories. A round hole on the left rump of the Chimera might suggest a spot where Bellerophon may have struck the beast with a now-missing spear. The first known literary reference was in Homer's Iliad, and the epic poetry of Hesiod in the 8th century BCE also mentions the Chimera. "Yes, sir, because there are the medals of the Duke my lord who came from Rome with a goat's head stuck in the neck of this lion, who as he sees VE, also has the serpent's belly, and we found the queue that was broken between those bronze fragments with many metal figurines that you've seen all, and the wounds that she has touched on show it, and yet the pain that is known in the readiness of the head of this animal ..."
The tail was not restored until 1785 when the Pistoiese sculptor Francesco Carradori (or his teacher, Innocenzo Spinazzi) fashioned a replacement, incorrectly positioning the serpent to bite the goat's horn. It is much more likely that the snake had to strike out against Bellerophon instead, since biting the head of the goat meant it was biting itself. Inscribed on its right foreleg is an inscription in the ancient Etruscan language. 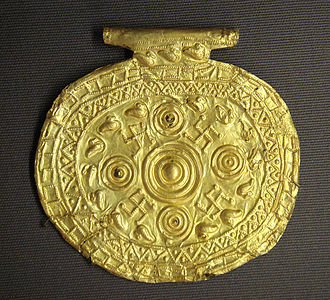 It has been variously deciphered, but most recently it is thought to read TINSCVIL, meaning: "Offering belonging to Tinia", indicating that the bronze was a votive object dedicated to the supreme Etruscan god of day, Tin or Tinia. 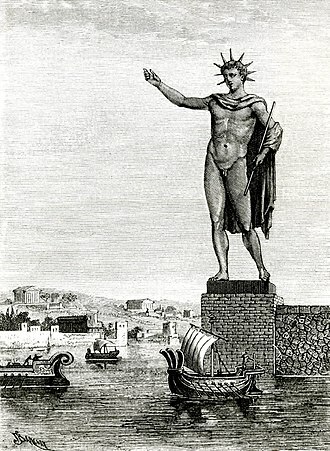 The original statue is estimated to have been created around 400 BCE. The Etruscan civilization was a wealthy civilization in ancient Italy with roots in the ancient region of Etruria, which existed during the early 8th-6th century BCE and extended over what is now a part of modern Tuscany, western Umbria, and northern Lazio. The region became a part of the Roman Republic after the Roman-Etruscan Wars. Heavily influenced by Ancient Greek culture, Etruscan art is characterized by the use of terracotta, metalworking—especially in bronze—as well as jewelry and engraved gems. 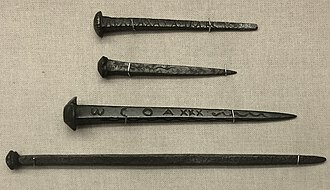 Metal and bronze trinkets from the Mediterranean rapidly began to appear around Etruria. 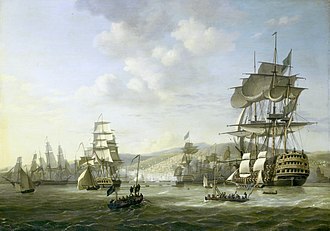 It is not clear to historians exactly when trading with the Eastern Mediterranean began, however it is clear that both Phoenicians and Greeks must have been interested in the metal ores of Etruria, causing a rise in popularity of the art trade in these regions. The Etruscans were well known for their art throughout the Orientalizing Period 700-600 BCE, The Archaic Period 600-480 BCE, and the Hellenistic Period 2nd to 1st century BCE. Discovered on November 15, 1553 by constructions workers near the San Lorentio gate in Arezzo (ancient Arretium), the sculpture was quickly claimed for the collection of the Medici Grand Duke of Tuscany, Cosimo I, who placed it publicly in the Palazzo Vecchio in the hall of Leo X. Cosimo also placed the smaller bronzes from the trove in his own studiolo at Palazzo Pitti, where "the Duke took great pleasure in cleaning them by himself, with some goldsmith's tools," as Benvenuto Cellini reported in his autobiography. On discovery, the statue was missing the snake and its left front and rear paws. Due to its fragmented state upon discovery, the statue was originally regarded as a lion. Italian painter Giorgio Vasari tracked down the statue motif by studying Ancient Greek and Roman coins, such as a silver stater featuring an image of the Chimera, thus accurately identifying it. 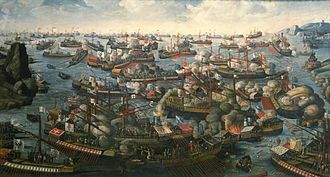 Eventually, it was officially identified as being a part of a larger piece illustrating a fight between the Chimera and the Greek hero Bellerophon. The sculpture was found among other small pieces that served as votive offerings to the God Tinia. 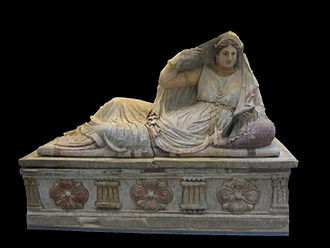 This sculpture may also have served as an Etruscan religious dedication. After discovery, it began its residence in Florence where it remained until its transportation in 1718 to the Uffizi Palace. Since 1870, the Chimaera of Arezzo has made its home at the National Archaeological Museum in Florence. 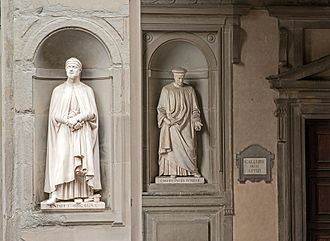 As the sculpture made its way through the Florence museums, it increasingly attracted the attention of both artists and historians. Typical iconography of the Chimera myth depicts the warrior Bellerophon as he confronts the Chimera, or rides atop or alongside it. This iconography began to appear upon Greek vessels in 600 BCE. The Chimera of Arezzo presents a very detailed and complex composition that most likely was meant for display and viewing in the round. The Chimera is clearly expressing pain throughout its body. Its form is contorted, its face and mouth open in outrage as it is struck by Bellerophon. Similar to Hellenistic sculpture, the Chimera's form and body language express movement as well as the clear tension and power of the beast's musculature and evoke in the viewer a feeling of deep emotional pain and interest in the contemplation of that movement. Clearly influenced by Mediterranean myth culture, this bronze work is evidence of the mastery that Etruscan sculptors had not only over the medium but of mythological lore. Art historian A. Maggiani gives details of a clear Italiote context by pointing out iconographic comparisons from sites in Magna Graecia such as Metaponto and Kaulonia. 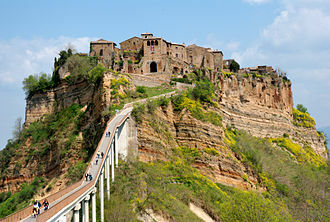 Italiote refers to a pre-Roman empire Greek-speaking population in southern Italy. Magna Graecia refers to the Greek colonies which were established in southern Italy from the 8th century BCE onwards. With the Italiote context in mind, these trends are a clear indication of the increasing popularity of Attic or Athens-inspired architecture and sculpture. Ancient Athenians regarded themselves among the highest of society. 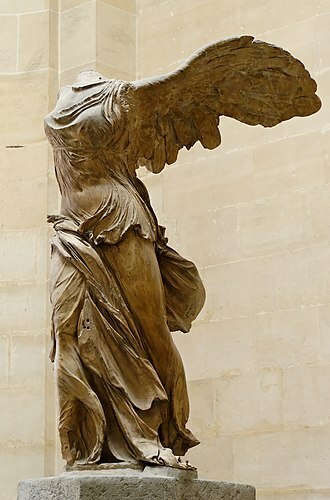 Their art, religion, and culture was seen as the epitome of Greek achievement. While the ancient Athenians had long since perished by this time, their work and way of life were still regarded with great fascination and there was a desire to emulate it. Historians have generally come to a consensus that the Chimera of Arezzo was produced by Italiote craftsmen in the last decades of the fifth century BCE or in the beginning of the fourth century BCE. The fact that this sculpture was a votive offering to Tinia is a reminder of the wealth and sophistication of Etruscan elites. In the 3rd millennium BCE ancient foundry workers discovered by trial and error that bronze had distinct advantages over pure copper for making artistic statuary. 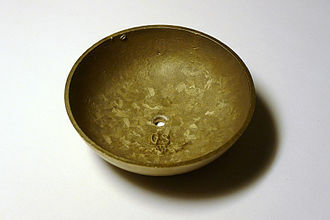 Bronze stays liquid longer when filling a mold due to its lower melting point. Bronze is a superior metal than copper for sculpture casting because of its higher tensile strength. 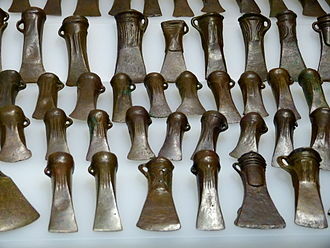 The island of Cyprus supplied most of the bronze used for artistic purposes throughout the ancient Mediterranean region. The earliest forms of Greek bronze sculptures were simple, hand-worked sheets of bronze known as sphyrelaton (literally, “hammer-driven”). Like modern clay sculpture, these metal sheets could be embellished by hammering the metal over various wooden shapes made with textures that created a desired look or depth. This was later adapted to become the technique known today as tracing. By the late Archaic period (ca. 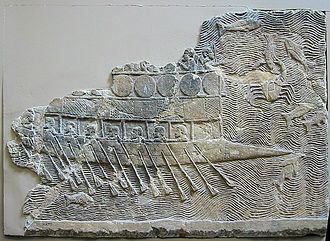 500–480 B.C.) sphyrelaton lost popularity as lost-wax casting became the primary form of bronze sculpting. Lost-wax casting of bronze was achieved in three different ways, each with its own desired effects. The first and earliest method was solid casting, which required a model of the sculpture to be fashioned in solid wax and then carved. The second method was hollow lost-wax casting, which was created by a direct process. Finally, the third was hollow lost-wax casting by an indirect process. The model is packed in clay, and then heated in what today would be similar to a kiln to remove the wax and harden the clay. Then, the mold is inverted and metal poured inside it to create a cast. When cooled, the bronze-smith cracks open the clay model to reveal a solid bronze replica. For smaller details, sculptors often made eyes out of glass and painted on body hair, clothing details, and skin color. 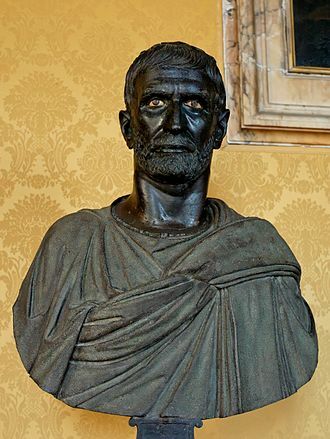 Lost in antiquity, most historical knowledge of how certain bronze statues would have looked comes from studying surviving Roman marble copies. Capitoline Wolf, a bronze long thought to be of 4th century BCE Etruscan origin, but possibly medieval. ^ Cartwright, Mark. “Chimera of Arezzo.” Ancient History Encyclopedia, 13 Jan. 2017, www.ancient.eu/article/1006/chimera-of-arezzo/. ^ a b Dobrzynski, Judith H. “The Imaginary Made Nearly Real.” The Wall Street Journal, Dow Jones & Company, 8 Feb. 2013, www.wsj.com/articles/SB10001424127887323539804578264234269625580. ^ "The Chimaera of Arezzo (Getty Villa Exhibitions)". www.getty.edu. Retrieved 2018-03-06. ^ Cellini, Benvenuto, and John Addington Symonds. 1955. 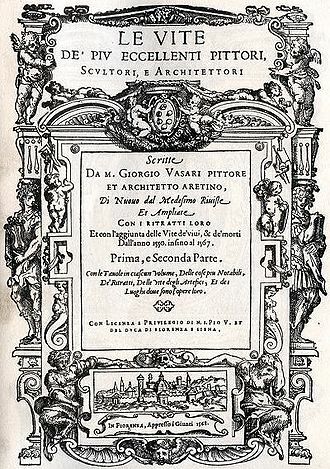 The autobiography of Benvenuto Cellini. N.Y.: Modern Library. ^ a b "The Chimaera of Arezzo (Getty Villa Exhibitions)". www.getty.edu. Retrieved 2017-12-27. ^ a b c Hemingway, Authors: Seán Hemingway Colette. “The Technique of Bronze Statuary in Ancient Greece | Essay | Heilbrunn Timeline of Art History | The Metropolitan Museum of Art.” The Met's Heilbrunn Timeline of Art History, www.metmuseum.org/toah/hd/grbr/hd_grbr.htm. ^ "Bronze | Exhibition | Royal Academy of Arts". www.royalacademy.org.uk. Retrieved 2017-12-27. ^ "The Chimaera of Arezzo (Getty Villa Exhibitions)". www.getty.edu. Retrieved 2017-12-27. 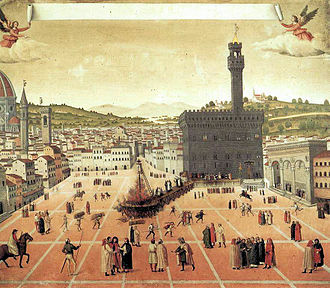 Wikimedia Commons has media related to Chimera of Arezzo. Ugo Bardi, 1997. "The Chimaera of Arezzo"
A cabinet was a private room in the houses and palaces of early modern Europe, a room serving as a study or retreat, usually for a man. The cabinet would be furnished with books and works of art, and sited adjacent to his bedchamber, such a room might be used as a study or office, or just a sitting room. Heating the main rooms in palaces or mansions in the winter was difficult. They offered more privacy from servants, other household members, typically such a room would be for the use of a single individual, so that a house might have at least two and often more. Names varied, closet, study and this was true for the elaborate Studiolo of Francesco I de Medici located in Palazzo Vecchio, Florence. 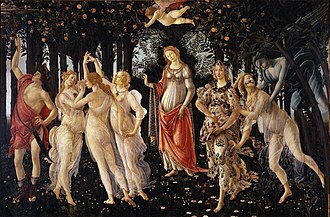 Isabella dEste called her room with paintings commissioned from Andrea Mantegna, Perugino, a studiolo would often have a Latin motto painted or inlaid round the frieze. Heraldry and personal devices and emblems would remind the occupant of his station in life, series of portraits of exemplary figures were popular, whether the Nine Worthies or the classical philosophers, in imaginary ideal portrait heads. Fra Bartolommeo died before starting work, and Raphael got no further than a drawing, dosso Dossi, Alphonsos court painter, completed the room with a large painting and ten small oblong subjects to go as a frieze above the others. Two people in private conversation were until recently said to be closetted. In his closet at Christ Church, Robert Burton wrote The Anatomie of Melancholy, Cabinet in English was often used for strongrooms, or treasure-stores - the tiny but exquisite Elizabethan tower strongroom at Lacock Abbey might have been so called - but in the wider sense. David Rizzio was murdered when dining with his putative lover Mary, Queen of Scots in a cabinet abowte xii footes square, in the same a little low reposinge bedde, and a table. A rare surviving cabinet, or closet, with its contents probably little changed since the early 18th century, is at Ham House in Richmond, England. It is less than 10 feet square, and leads off from the Long Gallery, as is often the case, it has an excellent view of the front entrance to the house, so that comings and goings can be discreetly observed. Arezzo is a city and comune in Italy, capital of the province of the same name, located in Tuscany. 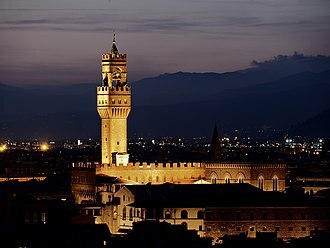 Arezzo is about 80 kilometres southeast of Florence, at an elevation of 296 metres above sea level, in 2013 the population was about 99,000. 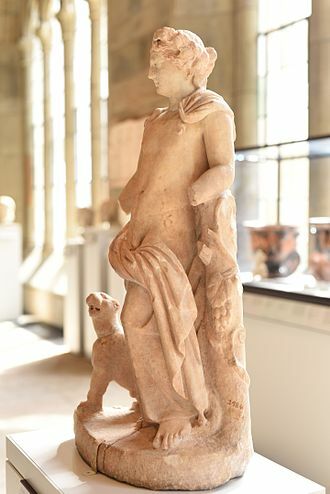 Described by Livy as one of the Capitae Etruriae, Arezzo is believed to have one of the twelve most important Etruscan cities—the so-called Dodecapolis. Etruscan remains establish that the acropolis of San Cornelio, a hill next to that of San Donatus, was occupied and fortified in the Etruscan period. 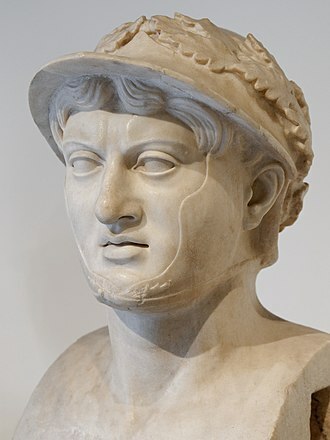 Increasing trade connections with Greece brought some elite goods to the Etruscan nobles of Arezzo, conquered by the Romans in 311 BC, Arretium became a military station on the via Cassia, the road to expansion by republican Rome into the basin of the Po. 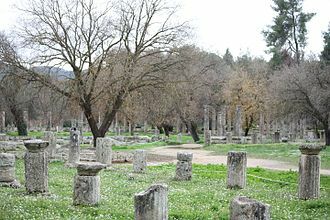 Arretium sided with Marius in the Roman Civil War, and the victorious Sulla planted a colony of his veterans in the half-demolished city, as Arretium Fidens. 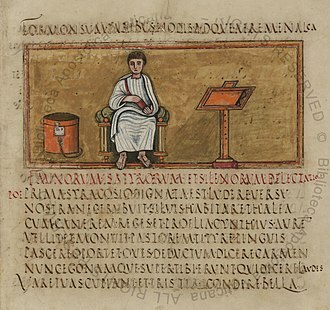 The old Etruscan aristocracy was not extinguished, Gaius Cilnius Maecenas, around 26-261 AD the town council of Arezzo dedicated an inscription to its patron L.
Petronius Taurus Volusianus. See that article for discussion of the possible significance of Volusianuss association with the city. 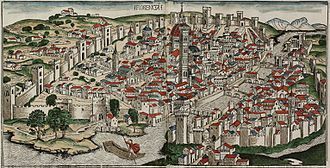 The commune of Arezzo threw off the control of its bishop in 1098 and was an independent city-state until 1384, generally Ghibelline in tendency, it opposed Guelph Florence. In 1252 the city founded its university, the Studium, during this period Piero della Francesca worked in the church of San Francesco di Arezzo producing the splendid frescoes, recently restored, which are Arezzos most famous works. Afterwards the city began an economical and cultural decay, which ensured that its medieval centre was preserved. In the 18th century the neighbouring marshes of the Val di Chiana, south of Arezzo, were drained, in 1860 Arezzo became part of the Kingdom of Italy. The Commonwealth War Graves Commissions Arezzo War Cemetery, where 1,266 men are buried, is located to the North West of the city, Pope Benedict XVI visited Arezzo and two other Italian municipalities on Sunday, May 13,2012. The Chimera was, according to Greek mythology, a monstrous fire-breathing hybrid creature of Lycia in Asia Minor, composed of the parts of more than one animal. The seeing of a Chimera was an omen for disaster, elsewhere in the Iliad, Homer attributes the rearing of Chimera to Amisodorus. Her did Pegasus and noble Bellerophon slay, the author of the Bibliotheca concurs, descriptions agree that she breathed fire. The Chimera is generally considered to have been female despite the mane adorning her head, the inclusion of a close mane often was depicted on lionesses, sighting the Chimera was an omen of storms and natural disasters. While there are different genealogies, in one version the Chimera mated with her brother Orthrus and was the mother of the Sphinx, the Chimera finally was defeated by Bellerophon with the help of Pegasus, at the command of King Iobates of Lycia. Since Pegasus could fly, Bellerophon shot the Chimera from the air, safe from her heads, robert Graves suggests, The Chimera was, apparently, a calendar-symbol of the tripartite year, of which the seasonal emblems were lion and serpent. The Chimera was situated in foreign Lycia, but her representation in the arts was wholly Greek, an autonomous tradition, one that did not rely on the written word, was represented in the visual repertory of the Greek vase-painters. The Corinthian type is fixed, after some hesitation, in the 670s BC. The fascination with the monstrous devolved by the end of the century into a decorative Chimera-motif in Corinth. Two vase-painters employed the motif so consistently they are given the pseudonyms the Bellerophon Painter, a fire-breathing lioness was one of the earliest of solar and war deities in Ancient Egypt and influences are feasible. The lioness represented the war goddess and protector of both cultures that would unite as Ancient Egypt, sekhmet was one of the dominant deities in upper Egypt and Bast in lower Egypt. As divine mother, and more especially as protector, for Lower Egypt, Bast became strongly associated with Wadjet, in Etruscan civilization, the Chimera appears in the Orientalizing period that precedes Etruscan Archaic art, that is to say, very early indeed. Echidnas /ᵻˈkɪdnə/, sometimes known as spiny anteaters, belong to the family Tachyglossidae in the monotreme order of egg-laying mammals. The four extant species, together with the platypus, are the surviving members of the order Monotremata and are the only living mammals that lay eggs. The diet of species consists of ants and termites. Echidnas live in Australia and New Guinea, echidnas evidently evolved between 20 and 50 million years ago, descending from a platypus-like monotreme. This ancestor was aquatic, but echidnas adapted to life on land, the echidnas are named after Echidna, a creature from Greek mythology who was half-woman, half-snake, as the animal was perceived to have qualities of both mammals and reptiles. Echidnas are medium-sized, solitary mammals covered with hair and spines. Superficially, they resemble the anteaters of South America and other mammals such as hedgehogs. They are usually black or brown in colour, there have been several reports of albino echidnas, their eyes pink and their spines white. They have elongated and slender snouts that function as mouth and nose. They have very short, strong limbs with large claws, and are powerful diggers, echidnas have tiny mouths and toothless jaws. The echidna feeds by tearing open soft logs and the like, and using its long, sticky tongue, the echidnas ears are slits on the sides of their heads that are usually unseen due to the fact that they are blanketed by their spines. The external ear is created by a large funnel, deep in the muscle. The short-beaked echidnas diet consists largely of ants and termites, while the Zaglossus species typically eat worms, the tongues of long-beaked echidnas have sharp, tiny spines that help them capture their prey. They have no teeth, and break down their food by grinding it between the bottoms of their mouths and their tongues, echidnas faeces are 7 centimetres long and are cylindrical in shape, they are usually broken and unrounded, and composed largely of dirt and ant-hill material. Echidnas do not tolerate extreme temperatures, they use caves and rock crevices to shelter from weather conditions. Bellerophon or Bellerophontes is a hero of Greek mythology. Bellerophon was born at Corinth and was the son of the mortal Eurynome by either her husband Glaucus, one possible etymology that has been suggested is, Βελλεροφόντης from βέλεμνον, βελόνη, βέλος and -φόντης from φονεύω. However, Geoffrey Kirk says that Βελλεροφόντης means slayer of Belleros, Belleros could have been a Lycian, a local daimon or a Corinthian nobleman—Bellerophons name clearly invited all sorts of speculation. The Iliad vi. 155–203 contains a narrative told by Bellerophons grandson Glaucus, named for his great-grandfather. Bellerophons father was Glaucus, who was the king of Corinth, Bellerophons grandsons Sarpedon and the younger Glaucus fought in the Trojan War. In the Epitome of pseudo-Apollodorus, a genealogy is given for Chrysaor that would make him a double of Bellerophon, he too is called the son of Glaucus the son of Sisyphus. Chrysaor has no myth save that of his birth, from the neck of Medusa. From this moment we hear no more of Chrysaor, the rest of the tale concerning the stallion only, perhaps for his brothers sake, by whom in the end he let himself be caught, the immortal horse by his mortal brother. Proetus, by virtue of his kingship, cleansed Bellerophon of his crime, the wife of the king, whether named Anteia or Stheneboea, took a fancy to him, but when he rejected her, she accused Bellerophon of attempting to ravish her. Before opening the tablets, Iobates feasted with Bellerophon for nine days, the Chimera was a fire-breathing monster whose make-up comprised the body of a goat, the head of a lion and the tail being a serpent. This monster had terrorized the nearby countryside, on his way he encountered the famous Corinthian seer Polyeidos who gave him advice about his oncoming battle. Polyeidos told Bellerophon that he would have need of Pegasus, to obtain the services of the untamed winged horse, Polyeidos told Bellerophon to sleep in the temple of Athena. While Bellerophon slept, he dreamed that Athena set a golden bridle beside him, saying Sleepest thou, take this charm for the steed and show it to the Tamer thy father as thou makest sacrifice to him of a white bull. It was there when he awoke, Bellerophon had to approach Pegasus while it drank from a well, Polyeidos told him which well—the never-failing Pirene on the citadel of Corinth, the city of Bellerophons birth. The eternal fires of Chimera in Lycia (modern-day Turkey) where the Chimera myth takes place. Zeus aiming his thunderbolt at a winged and snake-footed Typhon. Chalcidian black-figured hydria (c. 540–530 BC), Staatliche Antikensammlungen (Inv. 596). Tarhunna battles the serpent Illuyanka, Museum of Anatolian Civilizations, Ankara, Turkey.